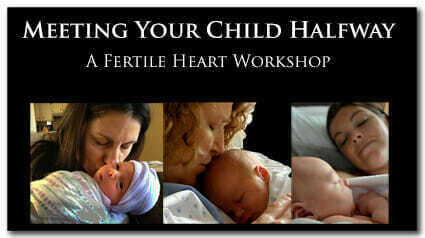 Are Your Relationships Fertility Friendly? Yes, being fertile is about being in a fertility friendly relationship with our partners. Even if we are planning to be a single parent, we are in many close relationships. And if we are to be in a fertility friendly relationship with anyone or anything it begins with being in a fertility friendly relationship with ourselves. and being in a fertility friendly relationship with food. and about being in a fertility friendly relationship with our siblings. Being in a fertility friendly relationship with our partners is without a doubt about both of us being in a fertility friendly relationship with our desire to parent a child. No, none of these relationships need to be fully healed and conflict-free in order for us become parents. But in the Fertile Heart OVUM Program we view a fertility challenge as an invitation to heal everything that calls to be healed; an invitation to be born into our next not yet born Self. 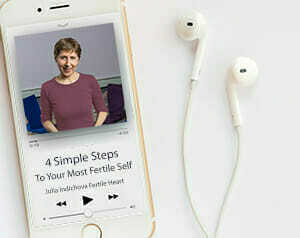 That’s what the ideas and every single one of the tools in the Fertile Heart Toolkit intend to accomplish: to raise the fertility friendliness of all our relationships. By the time we attended the workshop the second time, R. and my journey felt more like a joined process. It’s true that we each had different experiences, but it felt much more like something we were doing together and planning together. So I remember coming to the second workshop with a little less fear. I knew a little more what I was getting into. It was less to support her and more to experience this together and work together before we would move on to the next part of the journey.